Laser key cutting is a very popular technique used by professional locksmiths. Just as the name implies, the laser cut is an electronic model that is especially designed to cut ignition keys by laser, for various automotive applications. In other words, the key pattern is simply cut into metal using a laser beam. The process is extremely accurate and makes the ignition keys a lot harder to duplicate in the future. The cutting process is done with a special electronic device that uses the latest technology for both transponder and non-transponder keys. Moreover, these special machines come with adjustable clamps and various cutting tools that are controlled by a software. As a matter of fact, the laser cut key procedure is so widely spread that some locksmiths can reproduce keys with no more than a photo of that particular key! 3. After the key cutting process is complete, the locksmith will carefully inspect the two ignition keys to make sure they are identical. The whole process usually takes less than five minutes, but the time may vary based on the type of laser key cutting machine as well as the manufacturer. It is a fast, efficient and cost-effective process, as reproducing a key using laser machines is significantly cheaper than reproducing it using traditional, manual methods. The latest laser machines even come with a 3D function that is especially designed for standard, high-security ignition keys which are usually more difficult to copy. 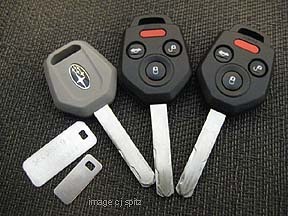 To summarize, this is how a modern laser key cutting machine can accurately duplicate an ignition key. 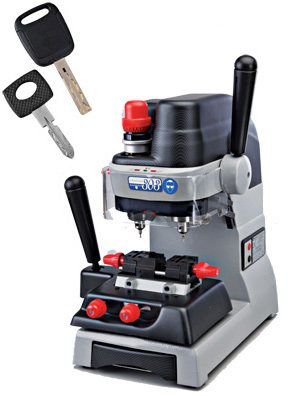 More and more locksmiths start to use these machines as they are very simple to operate and they are very time-effective.